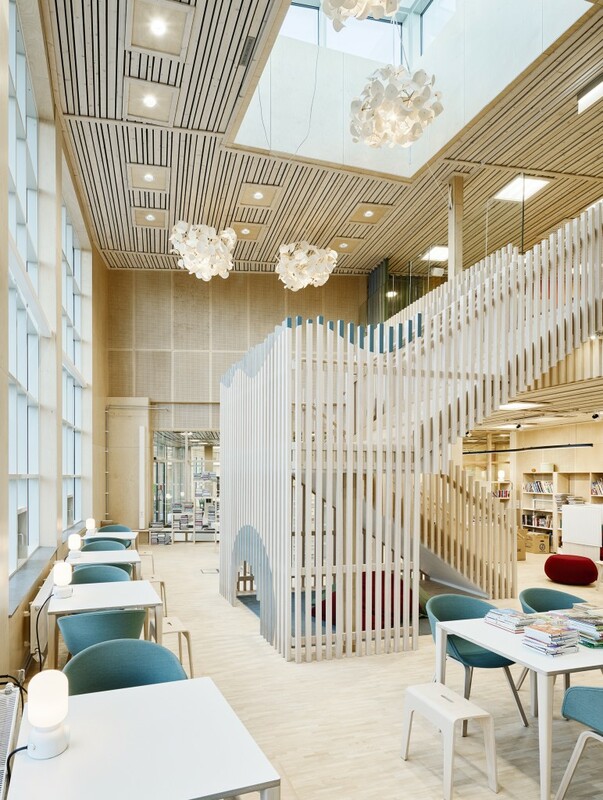 The traditional school layout has been challenged by the architects together with teachers and educators. Playful shapes and colors encourage creativity. 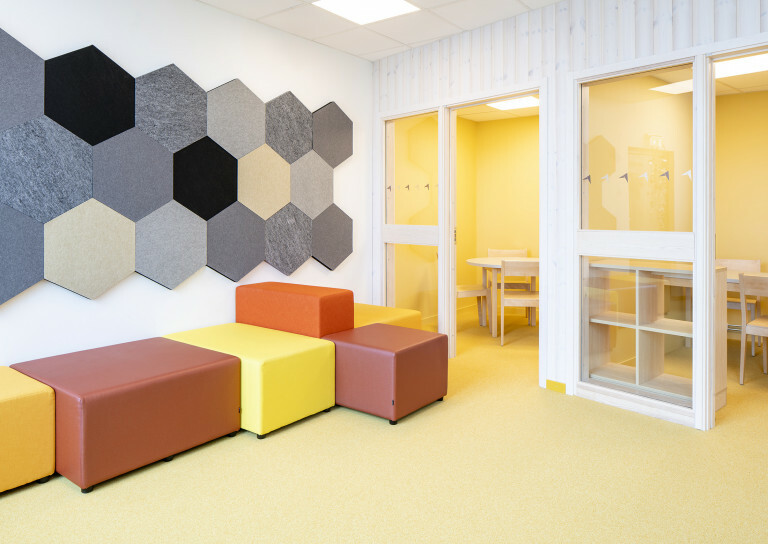 Furniture in sustainable materials will withstand the action-packed day-to-day school life. Örebro Municipality is growing, and in order to accommodate the increased population, some classes have been relocated from Navet school to the larger, newly-built Änglandaskolan. A colourful and flexible learning environment has been introduced with students as the main focus. 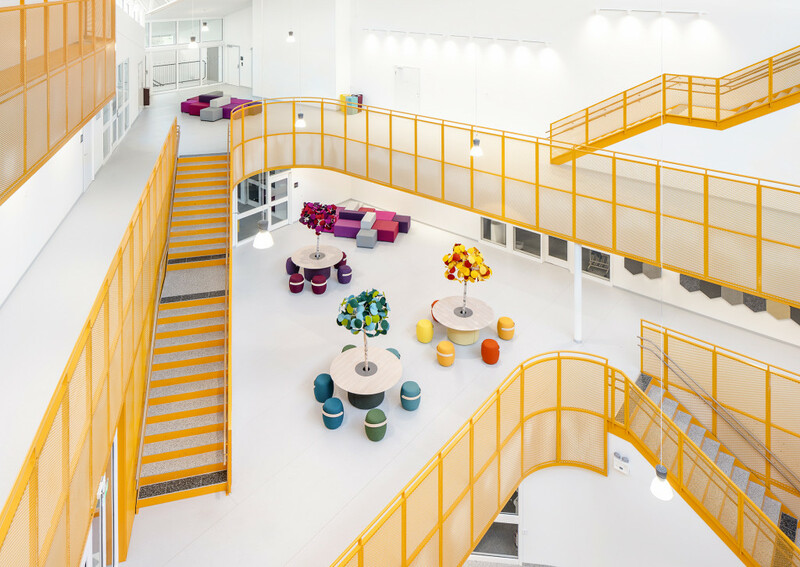 The new Änglandaskolan is a welcome addition to Örebro Municipality, where the population is growing steadily. 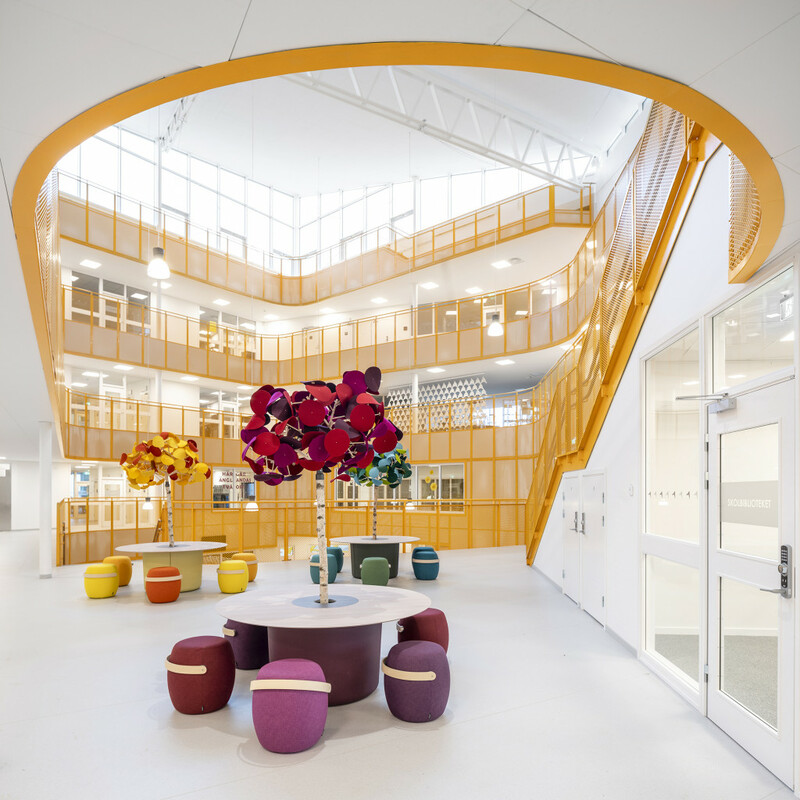 With its four floors, the school will have space for 525 students, from preschool classes up to year six. 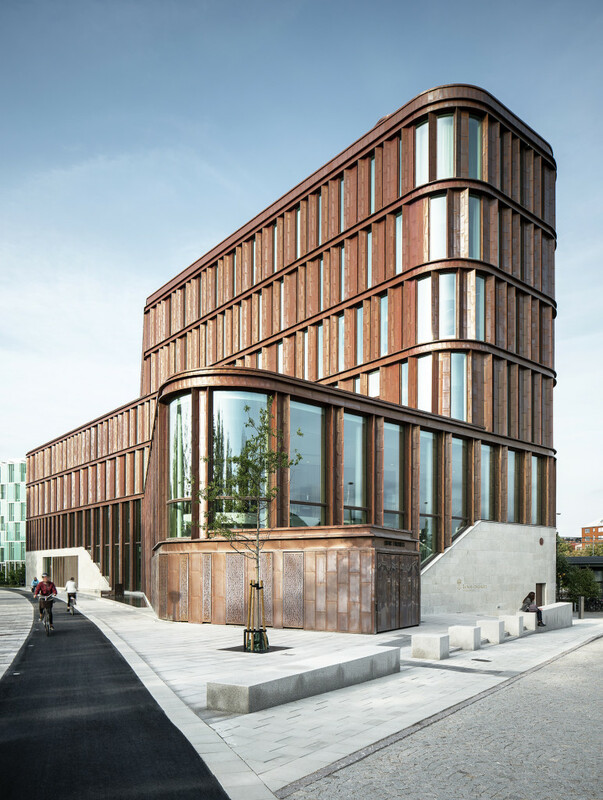 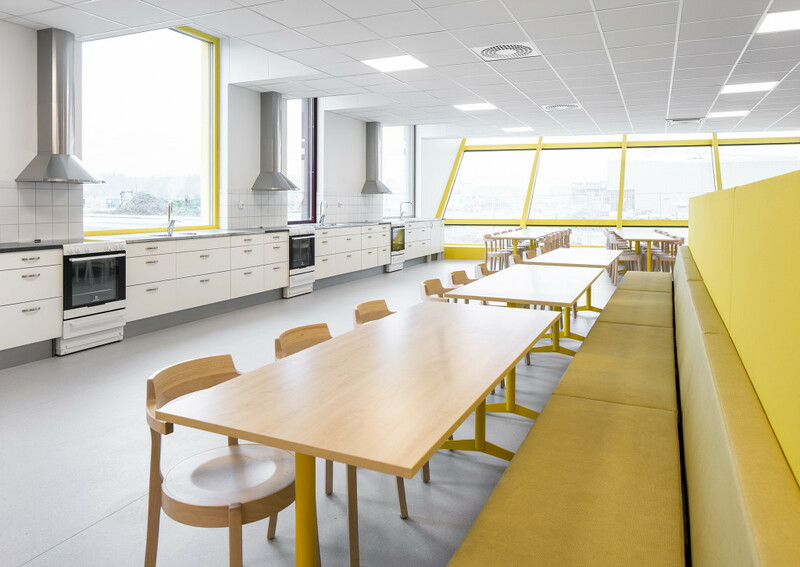 The building has been designed by ORIGO architects, who together with teachers and educators are challenging the traditional school layout. 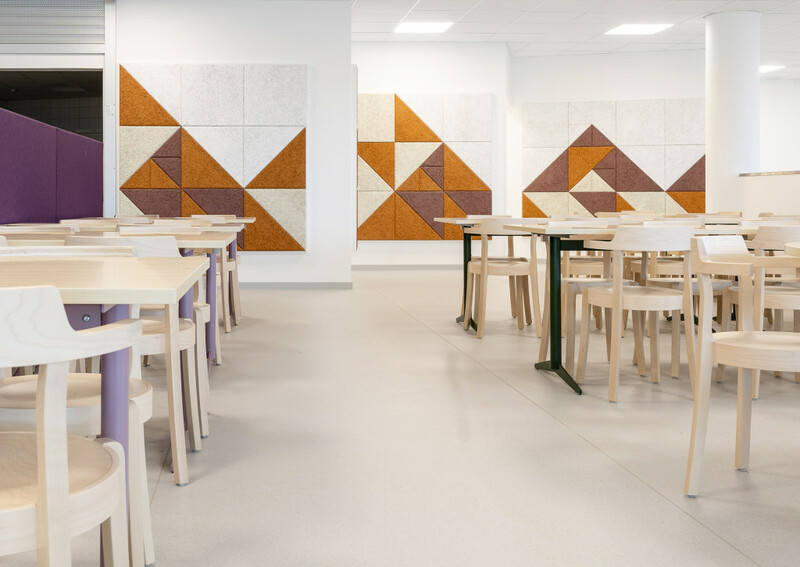 Classrooms and corridors have been replaced with home bases and workshops. 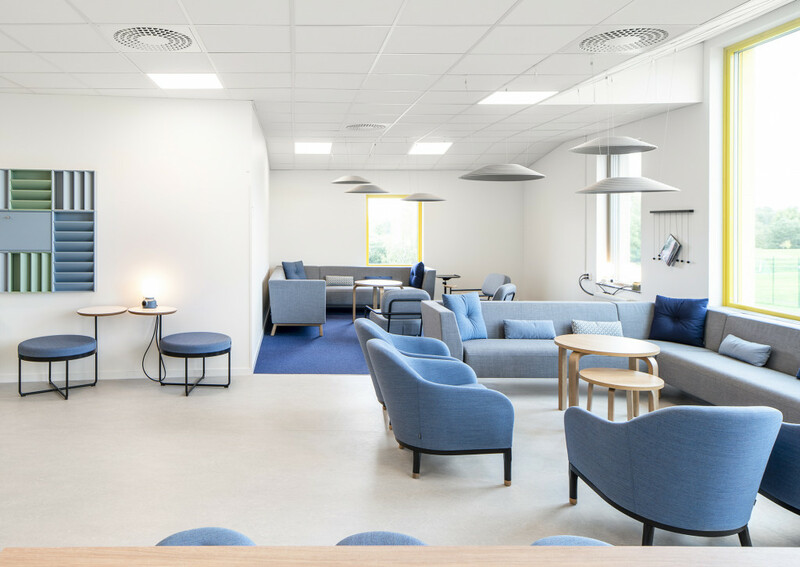 “The home bases mean that the students in one year share a common area consisting of three large rooms: two classroom-sized basic rooms and one study area that is larger and flexibly furnished. 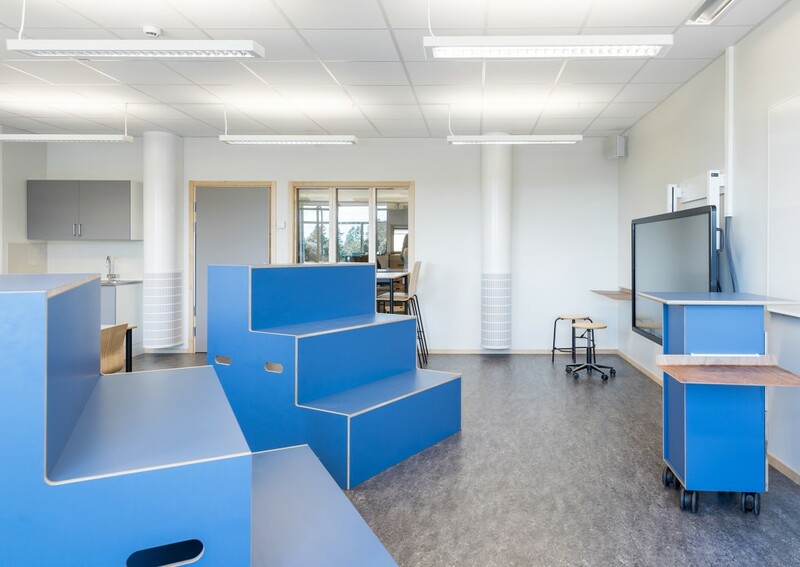 By and large it’s a question of utilising the premises together with the students and adapting the teaching to suit them,” says Annika Billinger, headmistress at Navet school, which is transferring some of its classes to Änglandaskolan. 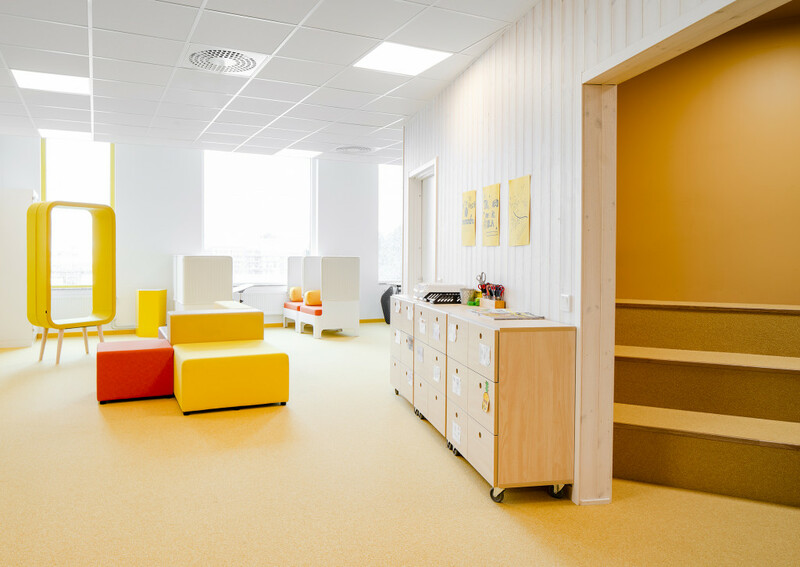 The structure of the school rests on three elements, with furniture, architecture and layout interacting with educational work methods and social aspects. “With a flexible learning environment it’s possible to think in numerous ways. 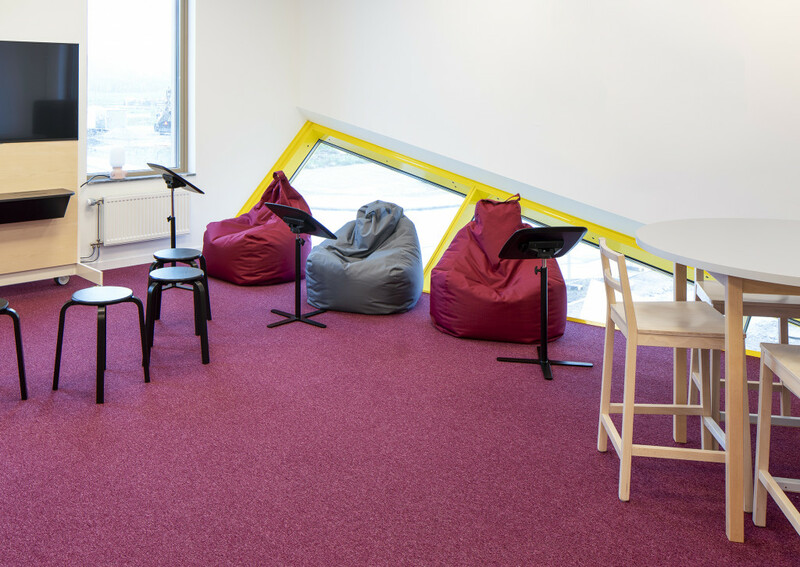 When a room looks a certain way, how do we teach? Do students feel that we are reflecting their differences if chairs and tables all look alike? 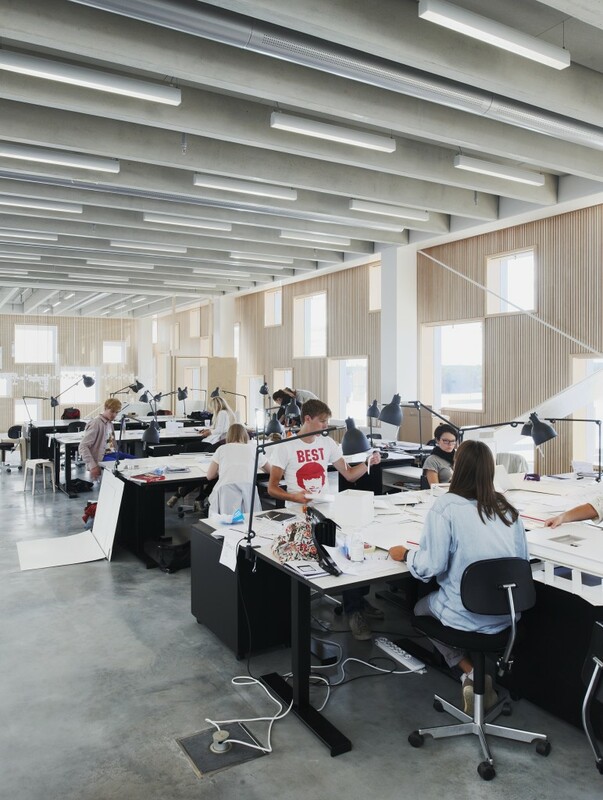 What sort of signals does it send when we position 30 rows of identical desks facing a teacher behind their desk? 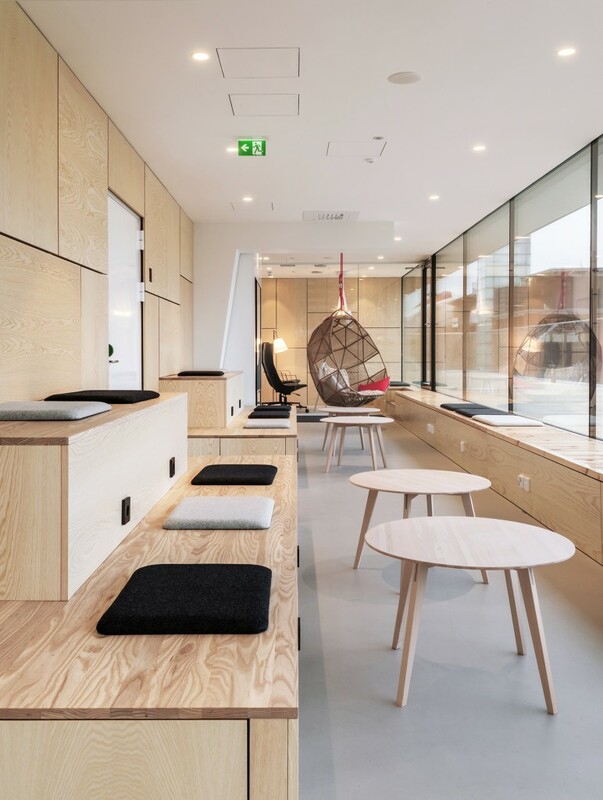 With a flexible interior design the ‘front’ can be in the middle and the students can sit in a circle, so they can also contribute to the teaching,” says Gustaf Brandell, headmaster at Navet school. 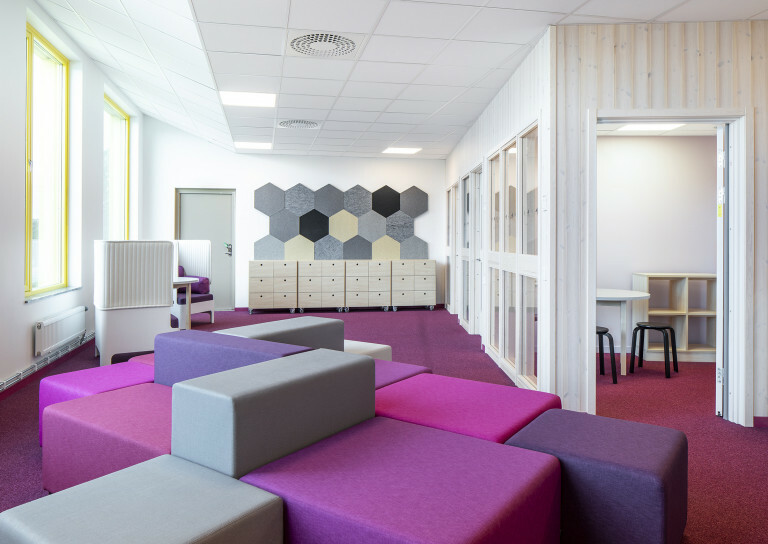 Furniture and fittings have been selected to suit the flexible structure, but also to work with the colourful basic palette of Änglandaskolan. 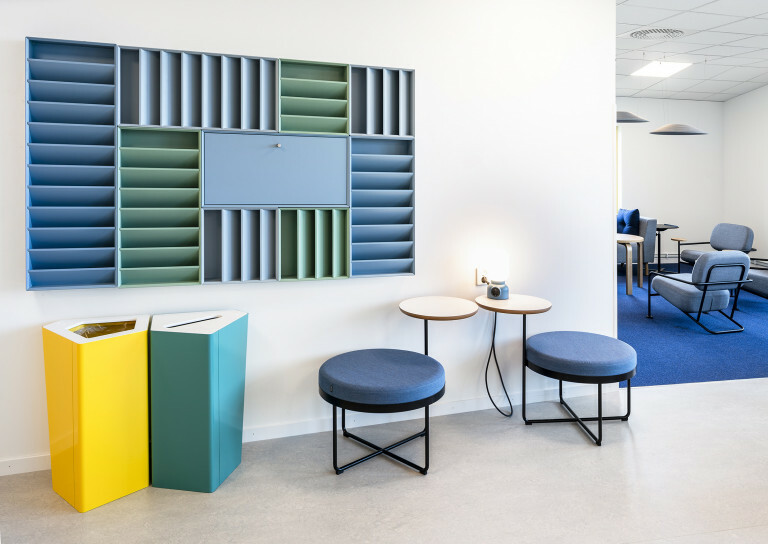 “The colour scheme really adds something extra, with cheerful hues such as green, turquoise, yellow and purple. 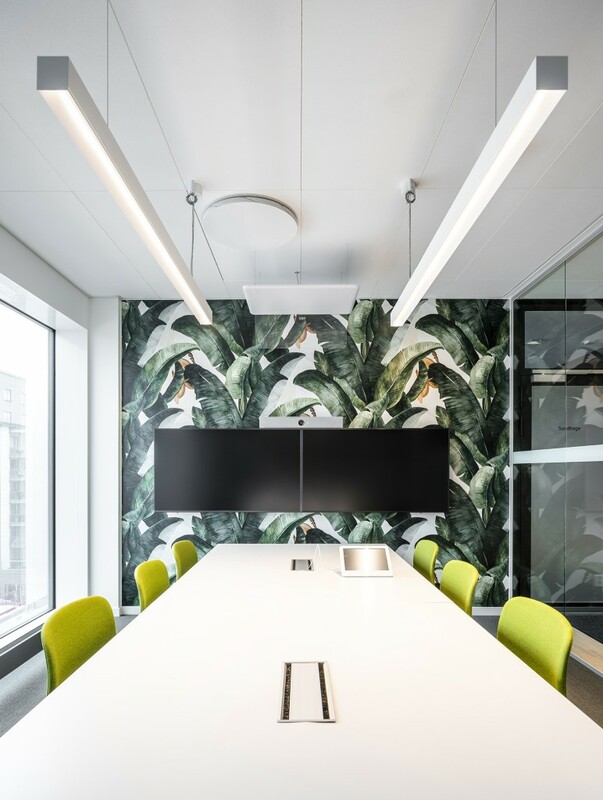 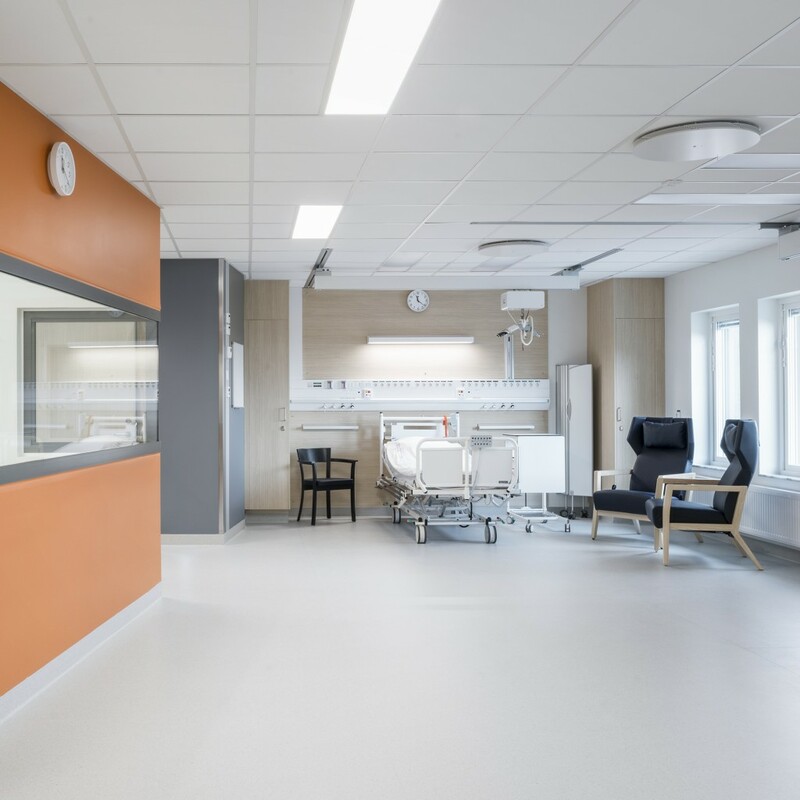 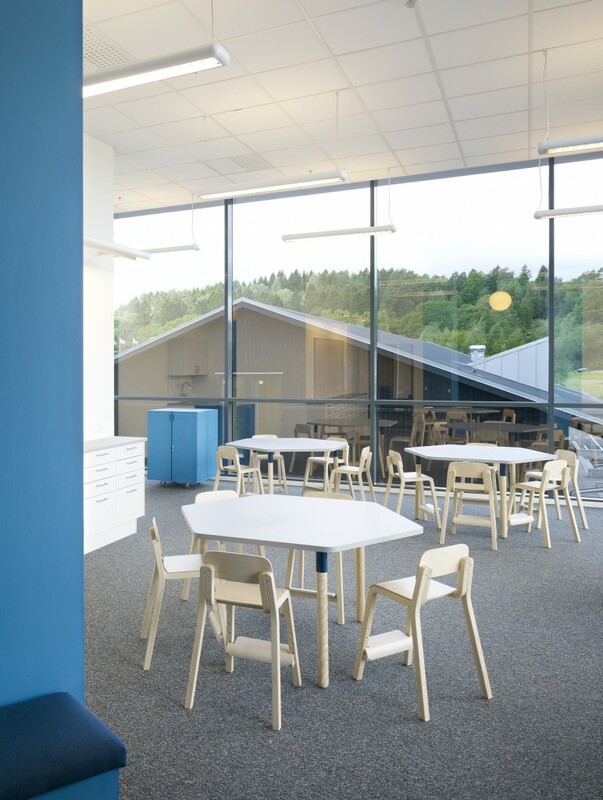 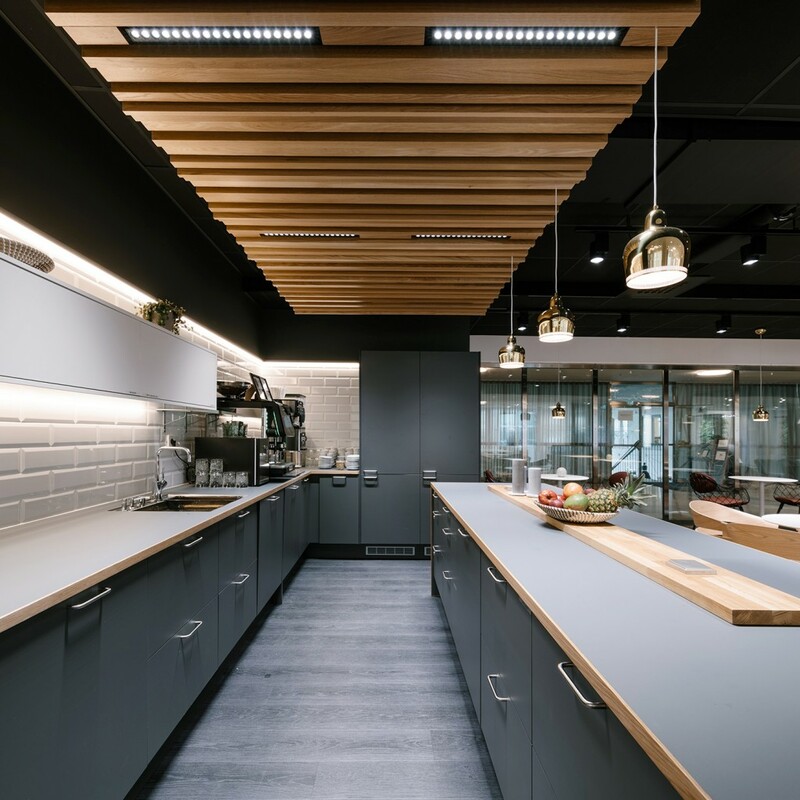 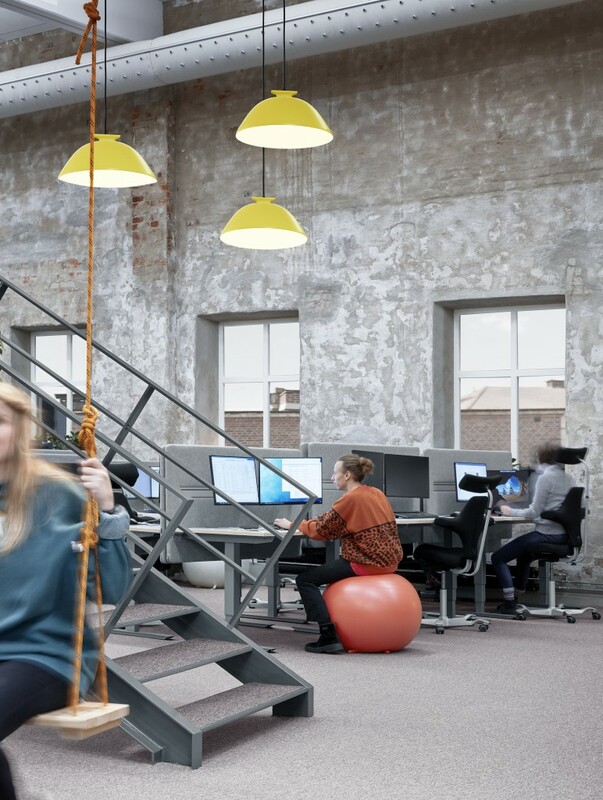 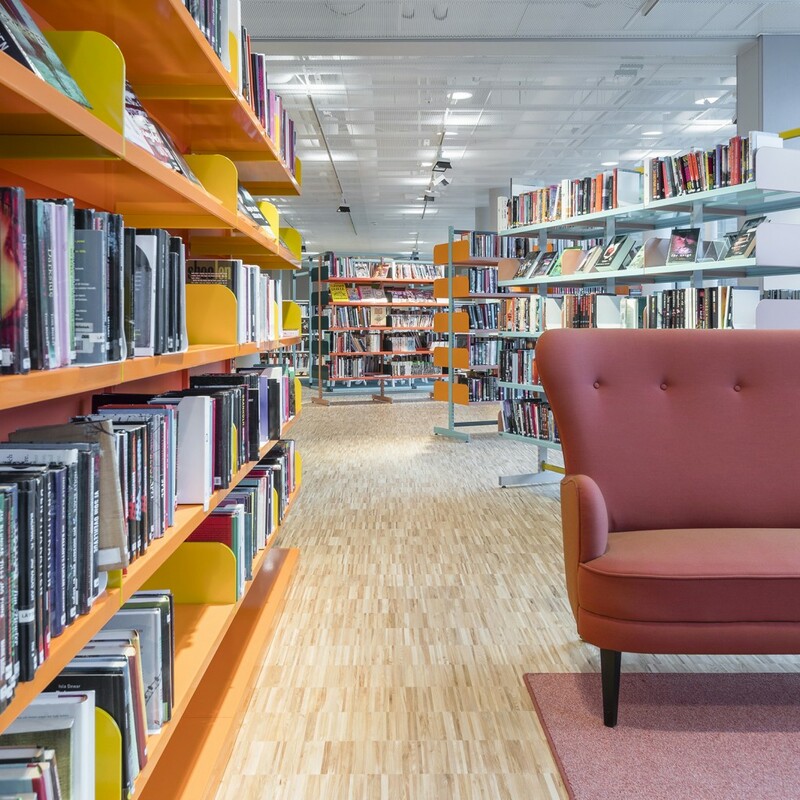 The colours are consistent on every floor and serve as clear markers for the students’ different home bases,” says Eva Hjortsberg from Input interior, which has undertaken procurement, project management, delivery and installation of all interior furnishings for the school. 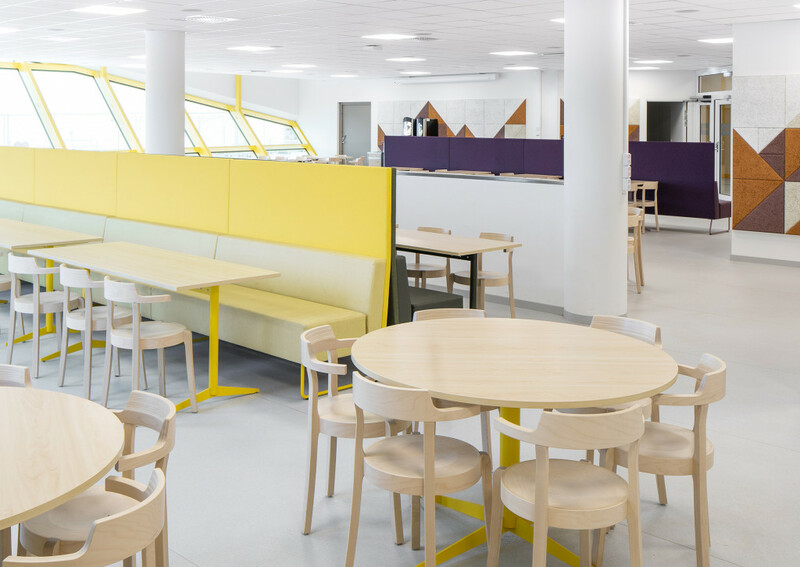 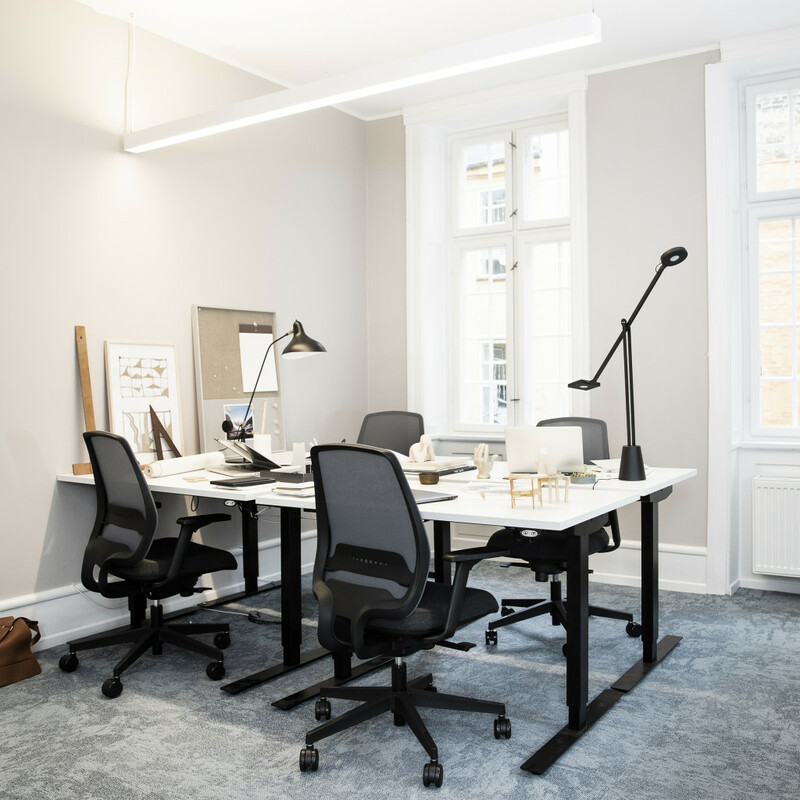 As well as being appropriate for the working method, it is equally important that the furniture can stand the test of time and withstand action-packed day-to-day school life. 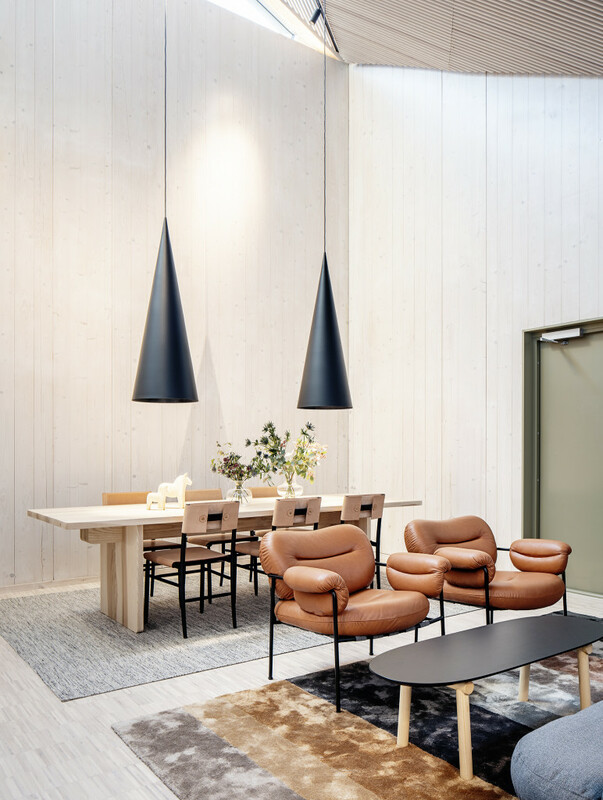 “Much of it consists of Swedish-made wooden furniture that is locally produced and sustainable. 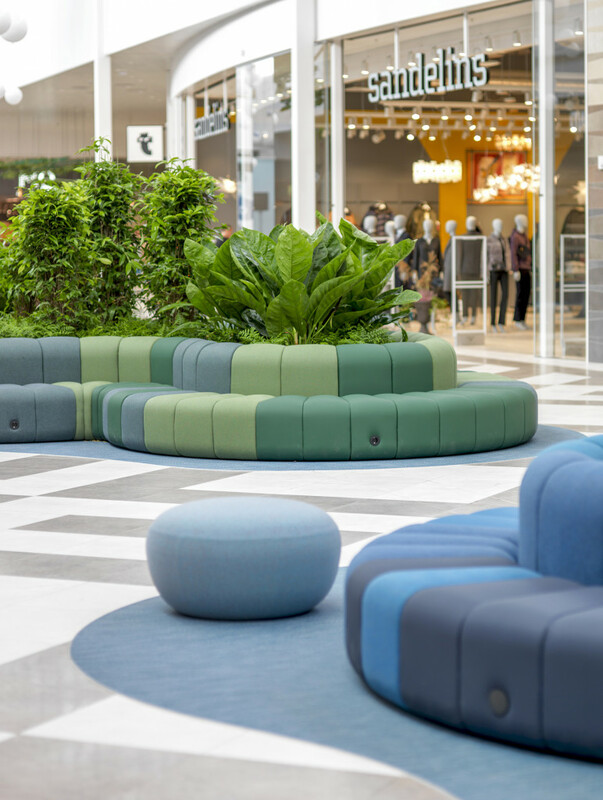 When everything is made in Sweden, we gain from an environmental perspective because we are cutting down on transport requirements, but we also know that they are quality products that will last a long time and do not contain any hazardous or toxic substances,” concludes Eva.